Alliantgroup commissioned Simplus to create a custom Feature Wall for their new office space in Washington, DC which acts as a divider between their lobby and work space. 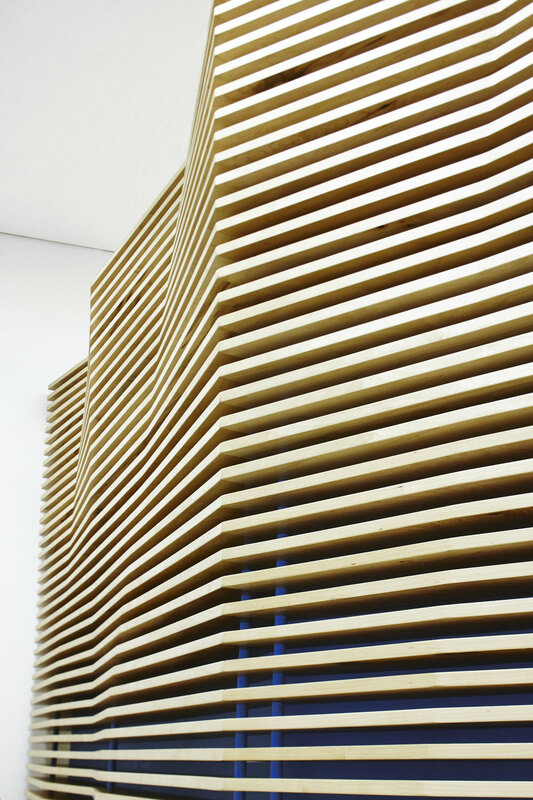 The dynamic cut angles and spacing of the slatted maple wood help give an ever-changing perspective as one moves towards and around the wall, as well as a moire effect from top to bottom. Custom spacers were 3D printed to help keep a consistent horizontal line and distance between the slabs of wood, which also help bring out the blue brand color of the vertical wall within the piece. The entire wall sits on castors so the client has the versatility to move it throughout their space if needed. 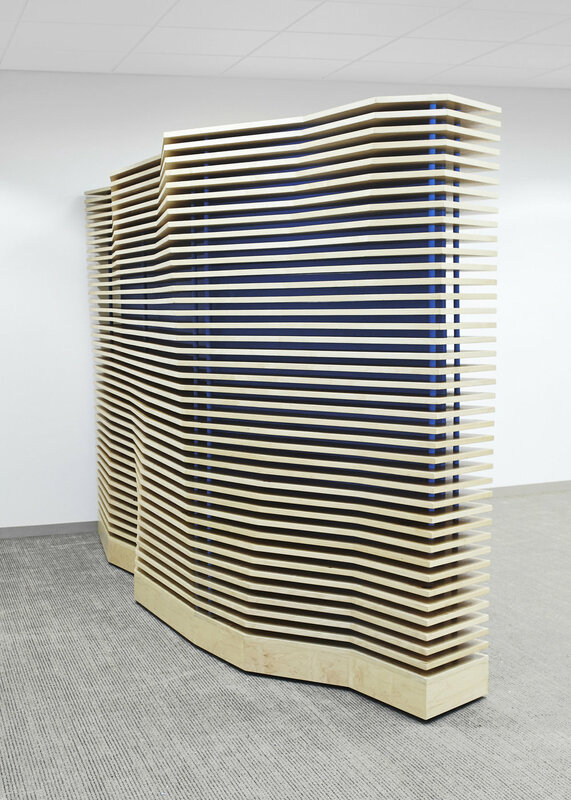 The slatted maple wall was CNC milled and assembled with the help of New York Design & Construction.